 Why Personal Service Matters from Your Financial Advisor | Corpus Capital Management, Inc.
Technology today allows for access to more information and choices than ever before across all industries – and financial advisory is no different. But, before you think about trying the next up-and-coming “robot advisor”, consider these benefits of having a human personal financial advisor. Deeper relationships. Humans value emotional intelligence and interaction. With a personal financial advisor, you can form a true relationship, and can give them human insight to your whole financial picture. With a “robot” relationship, you probably can’t correctly access your entire risk, or provide enough personal information to factor into your psychological risk tolerance. A human advisor can help you overcome your biases and quiet your impulses. More options. Financial advisors generally have a wider range of offerings and asset classes to choose from, meaning you’ll be able to build a more robust investment portfolio than you could with more limited options. Accountability. With a trusted advisor, you have regular check-ups available with a real human who cares about your financial future and can inspire better decisions for your situation. Advisors also keep you well informed and can discuss financial matters that are most important to you. As humans, we’re here to help, and we take great pride in that. Feel free to call us and we can assist you with any financial questions you may have.Technology today allows for access to more information and choices than ever before across all industries – and financial advisory is no different. The content in this article is for informational purposes only. Life insurance and related guarantees are backed by the claims paying ability of the issuing life insurance company. Customers are required to complete an underwriting process in order to qualify for life insurance. Customers may not qualify for life insurance if the underwriting process yields adverse results.